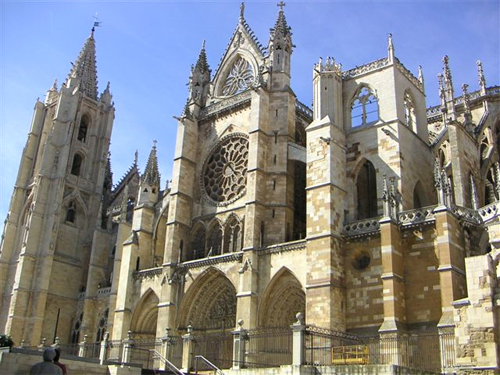 This Walking Holiday explores the fifth section of the Camino Frances / French Way, the most traditional of all the pilgrims' ways to Santiago de Compostela and the best known internationally. Start from Sahagun, a medieval town renowned for its architecture, and finish in Leon, one of the greatest cities in Spain. 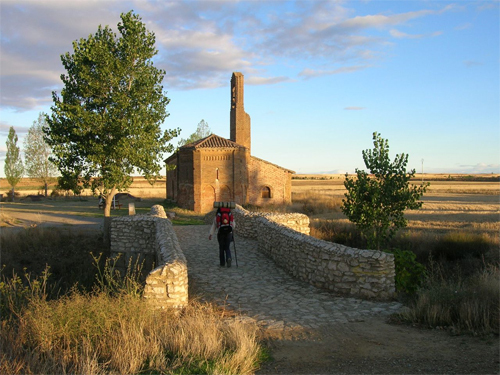 The Camino de Santiago, or Way of Saint James, crosses the vast Castilian Plateau (900m) and passes through its wealthy villages. 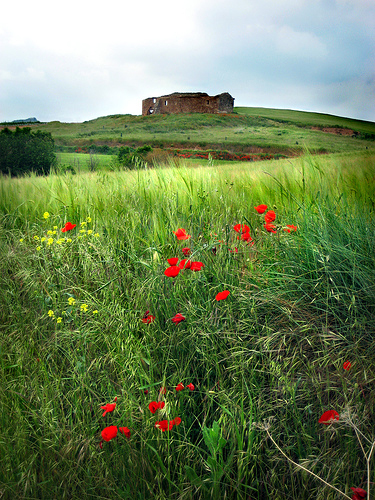 In Sahagun, you will leave "Tierra del Campo" behind, moving on through the cereal and grain-covered plateaux of Leon. 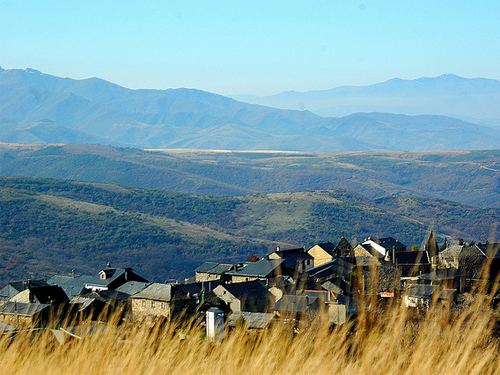 Going down from the plateau towards the capital of the province, Leon, you pass the pretty village of Reliegos. 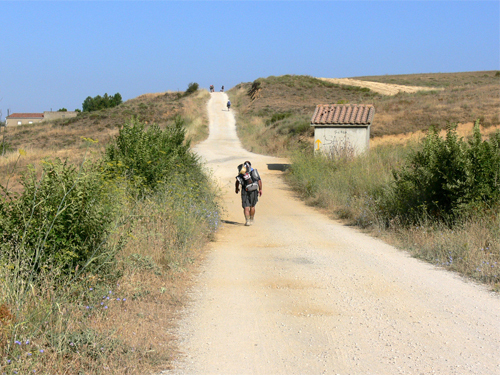 On the Camino you will have the chance to take the "Via Traiana"; another camino to Santiago that originates in Bordeaux. You will continue alongside land that has been set aside for irrigated crop growing before seeing the first signs of industrial activity up ahead. From Portillo Hill you will be able to make out the beautiful city of Leon. After breakfast we bid you farewell. 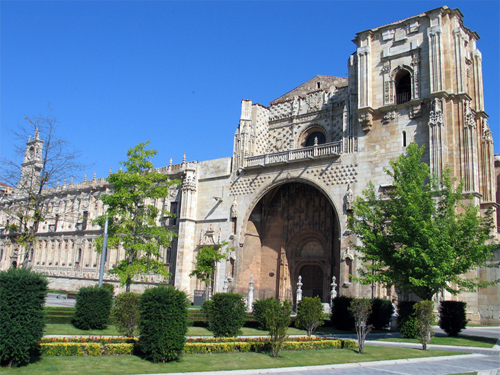 The historic centre of Leon is well preserved and worth visiting. Over the course of time, Leon became the capital of the kingdom in the Middle Ages; a historic enclave on the pilgrim's road to Santiago de Compostela. Don't miss The Pulchra Leonina (the 'Sistine Chapel' of Spanish architecture) & the old "Hospital de San Marcos". 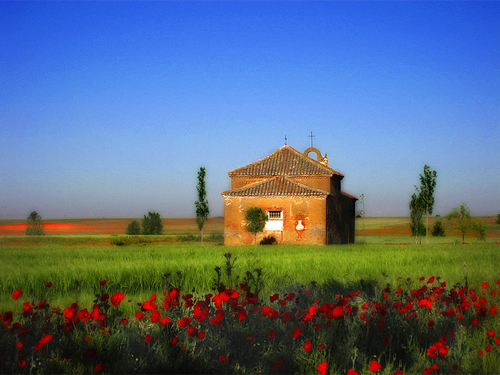 ♦ Getting there – There is a direct train from Santander to Sahagun, the journey is 2 hours and trains depart several times a day. 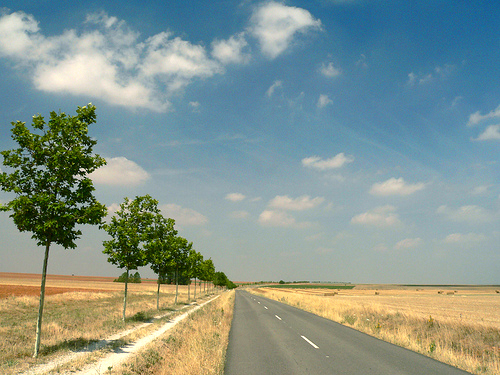 You can take a train from Bilbao to Sahagun via Burgos as well.